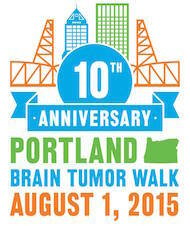 In a few months, NBTS is holding our first National Grey Gala and our 2015 Summit. We’re having these events to raise funds for necessary research and to give people the tools they need to join the fight. As part of that work, we often recognize the survivors and those who are still in the fight, and now we’re looking to create a tribute to the people who we’ve had to say goodbye to along the way, while we fight on in their names. We need your help with this. Please consider submitting an email with a picture of your loved one, their name, and their age. These would be used as part of a tribute video that we plan on showing at our various events.